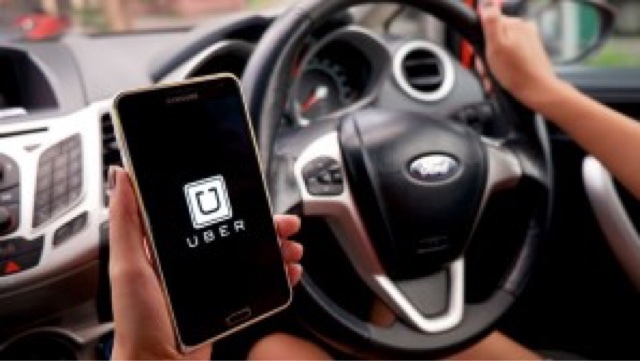 Letter to the Editor : Uber, A Social Engineering Exercise. No matter what we do Uber are here to stay. Unless of course, they are banned. But l just don't see that happening any time soon. I here people say we should lower fares to compete, but all Uber will do is undercut us and to be honest, we could never go as low as they can! Bringing in more regulation won't help either, they will just carry on, simply because they know they can get away with it. They know who's on there side. This is a massive social engineering exercise. Their drivers are mostly immigrants, that are happy to live on tax credits and housing benefits, all paid for by the likes of you and me. They may not be earning a lot, but then, they don't have to! They get a family car that during the day, is used by the family and by night, it's out in town earning money. Obviously they don't care how much they earn because after the car is paid for, it is all bunce. Basically, they are living at our expense. That's why the Tories love them. They are classed as working and it looks good on the books. It is one of the most corrupt things ever to happen. I have a good friend who is a labour councillor, working on harrow council and every single application for tax credits and housing benefit puts on their application form they are a taxi driver...says it all. This is what we are really up against. The streets of London were once believed to be paved with gold, but now it seems they are covered with discarded plastic bottles full of urine and carrier bags full of faeces. The problem is more acute with uber drivers because they have no operating centre or base. What exactly is it that the media can't see or understand about Taxi and Private Hire regulation? Has this document become obsolete? Uber come along and amazingly, even though they don't (can't) conform to the regulations every other PH operator has to abide by, are licensed as an operator??? 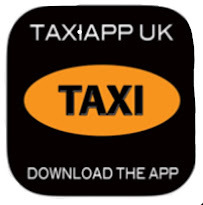 Contra to the PHV act 1998, their app allows them to illegally ply for immediate hire. When originally licensed in 2012, they had no proper operating centre and ran their business from a rented desk space in More London. They didn't even have a landline to take bookings, contra to the regulations laid down regarding applications for operator licences. Even now over 3 years later, they still don't have an operational landline to take bookings. In fact they have no way to pre book a job. The Taxi trade call foul and ask the licensing authority (TfL) for regulations to be enforced -not new or more regulation, just enforce what we already have- and suddenly it's a breach of Uber's consumer rights !!! 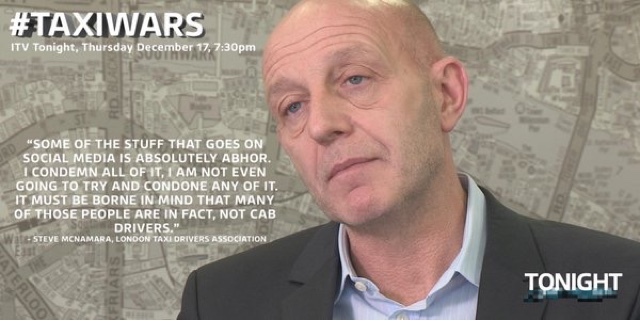 What about the rights of every other taxi driver or minicab operator in the industry? Would it be a breach of consumer rights to stop Taxi drives selling cheap cigarettes and cans of beer to passengers or set up an app to supply cheap booze to people outside public houses ? After all, it's what the public wants!!! Or perhaps we could perform cheap dentistry without any training? Legislation is there to protect the public and should always be enforced fully. Letting a company come here, who pay almost no tax, treats its workers like slaves, who work below the minimum wage, reliant on benefits, without a doubt is unfair competition. Why has this one company, with massive funds available for lobbying support, been allowed to operate "outside" the very legislation that every other PH company has to abide by ? Legislation put in place to protect the public! 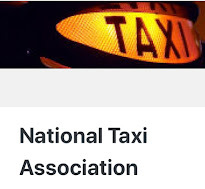 Surely this is a breach of all other Taxi and Private Hire operators consumer rights? What is it that the media can't grasp about this ? We are told this is allowed because it's what the public want!!! But, as Steve McNamara recently pointed out in an ITV interview, a huge proportion of the public want to be able to buy controlled substances that are illegal. They can't, because there is legislation against this, just like the legislation that governs minicabs and Private Hire operators. Unfortunately at present and in regards to Uber, the current Private Hire legislation, isn't being enforced. 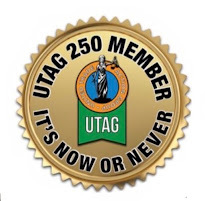 The Taxi trade doesn't want or need less regulation, it's there for a reason! 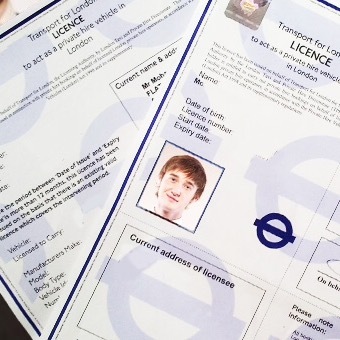 We are proud of the fact we have all completed the knowledge of London process. Yes it's hard, but it produces quality drivers who are regularly voted not just good or excellent, but "The best in the world". We don't need more legislation in regards to PH, we already have exactly what is needed. Why should one company be given exemption from the regulations, to be able to flout the law and operate in anyway they see fit? Has our licensing authority become corrupt? Or are they just too terrified to take on this multi billion dollar company? 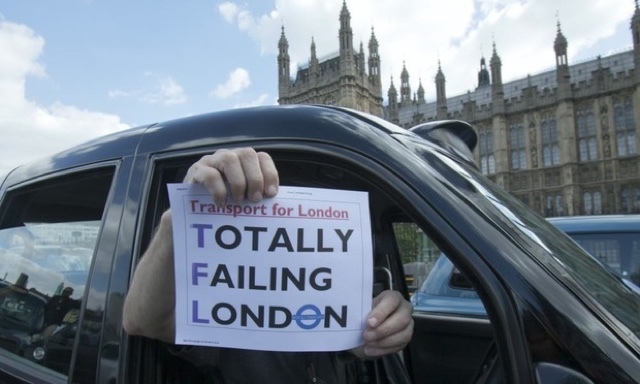 After all, when was the last time TfLs legal team actually had a major victory? All our industry asks for, is to have the rules and regulations we already have in place, enforced. What part of this request does the media, and interfering politicians not get??? 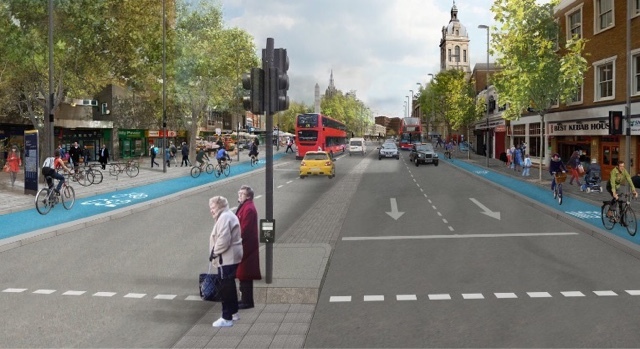 A wholesale redesign of Bank junction and a fresh “mini-Holland” scheme in east London are among a string of projects unveiled today by TfL to improve the lot of cyclists and pedestrians in the capital. While Local councils are desperate for funding of essential services like libraries, drop in centres, waste disposal and road sweeping, Transport bosses have pledged £148 million, to help London’s 33 local councils install more cycle lanes. 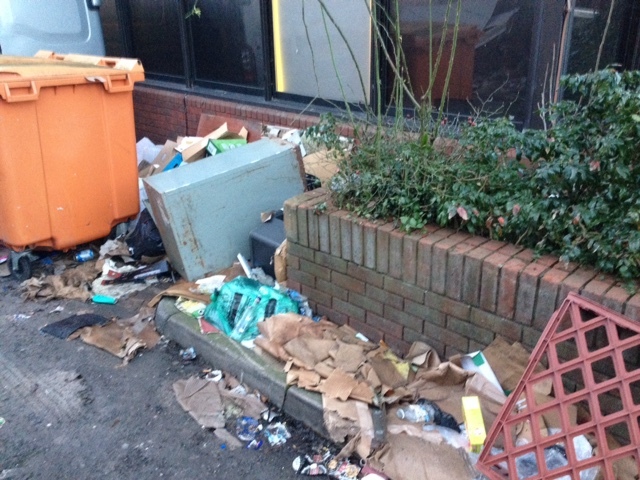 So, libraries and drop in centres close and rubbish piles up on the street because of lack of funding, Straford gets £5.5m for a mini-Holland project, which follows similar programmes in Walthamstow and Enfield that have seen roads closed and cycle provisions significantly increased. Although Stratford failed to win any of the £10m up for grabs for “mini-Holland” programmes earlier this year, Newham Council has secured cash from a separate pot to go ahead with its plans to rip up the gyratory around Stratford station and “reshape” the town centre. Don't worry about rats crawling round the bins.... at least the Bank junction will end up with nice wider footways, new cycle lane routes and improved public space to make the busy junction safer”-where have we heard that one before? But don't expect to go through the bank junction in a Taxi, as they are about to be banned, in the new buses and cycles only scheme. Other plans include new urgent work, to bring down Islington’s high number of road accidents. Despite the recent blanket 20mph speed limit, road accidents are still high. Following on from the failure in Islington, Tower Hamlets, Hammersmith and Fulham and Wandsworth, are now to see blanket 20mph speed limits put in place, following consultations in 2015. The total value of the grants is the same as it was last year, though the amounts given to each borough are different. London’s transport commissioner Mike Brown vowed the cash would “help transform communities and boost the local economy”. 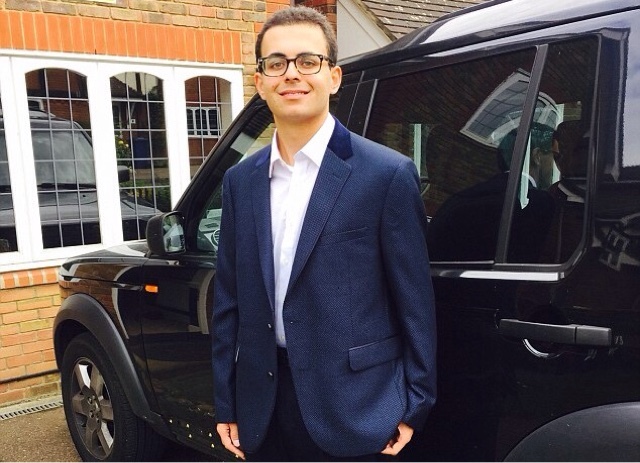 An 18-year-old IT student has saved British drivers £2million in four months after setting up a free parking appeals website. More than 86,000 people have launched appeals against council parking fines since August using the website which was set up by Joshua Browder from north London. Nearly 40 per cent said they had been successful in overturning their £60 parking penalties, according to a poll of people who used the free service. In total, claims amounting to £5.2million were challenged, meaning motorists have avoided paying an estimated £2million since the service was made available on August 24. Mr Browder said the figure was based on an average fine per person of £60 and that 86,204 had used his >DoNotPay.co.uk< website to launch appeals. Of those, 39.1 per cent said they had been successful according to a poll of users. The appeals were all against council-imposed fines - but the student plans to expand his website to cover private car parks 'in the near future'. He said statistics showed about 51,000 users accessed the site from London. Mr Browder, who is currently studying computer science and economics at Stanford University, California, set the site up after after being hit with 30 parking fines in and around Camden in north London. The 18-year-old said: 'I am shocked that the site has had such a large impact. When I started DoNotPay, I thought that it would help a small handful of family and friends. 'I could never have imagined that it would help reclaim millions in parking fines. 'I am disappointed that the councils are targeting the most vulnerable in our society. The elderly and the disabled are disproportionately receiving unfair tickets. 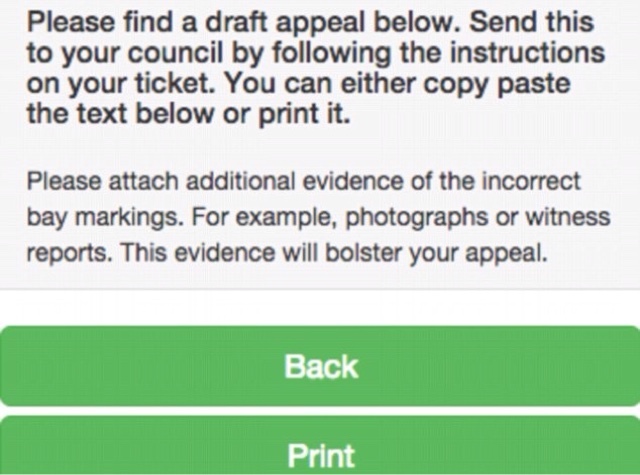 Donotpay.co.uk, which is completely free to use, allows motorists to pick one of 12 reasons of defence, then enter the relevant details and send a custom generated appeal created by the website's algorithm to the council in question. He said earlier this year: 'I was given parking tickets for trivial reasons. I have had to spend around one hundred hours of valuable study time writing appeals to these tickets, many of which have been successful. Of the dozens of tickets he was issued, the majority of them were overturned on appeal. 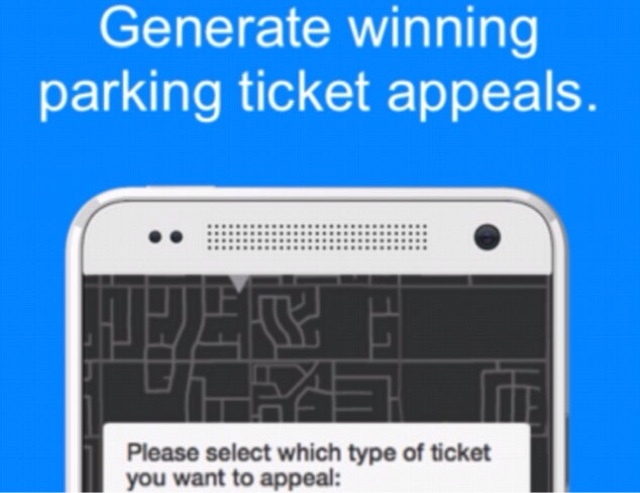 He says motorists can generate appeals in less than a minute and the website ensures drivers have the best possible chance of winning their appeals. Mr Browder, who taught himself computer coding at 12, created the service after scanning thousands of pages of documents released under the Freedom of Information Act and consulting a leading traffic lawyer. Last year it was revealed motorists paid out more in parking fines with councils accused of 'daylight robbery' as they continued to make a 'profit' from their parking operations, especially in London. The RAC Foundation said councils in the UK made a £667million surplus from their parking operations in 2013/2014 – marking a 12 per cent increase on the previous financial year and the fifth year in a row of rises. Motorists in London paid the biggest portion of the money for parking, with the capital accounting for 44 per cent of the total surplus generated over the last year. No one, not Uber or any PH company can compete with us. Uber can only offer London wide coverage because there's a Prius parked up on every street waiting for crumbs. Those crumbs would deplete significantly if Uber were made to toe the legislative line. The lower end of the public market use Uber because of price. That price would have to become more realistic, to accommodate existing legislation, if it was enforced. 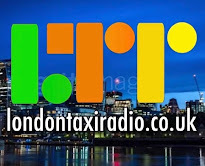 No one can give London coverage like a Taxi; which is looking for hailed rides as well as covering radio/app work. Price would then become incidental. Our 'act' is already together. All we need is the authorities to administer the law. The police and firemen are being shafted too. But their own hierarchy have been bought and paid for. The police in particular, take their orders from the top brass . The top brass are subservient to the politicians, who in turn are subservient to their 'owners' and benefactors. The laws are already in place. We need existing laws to be enforced now. TfL are corrupt - of that I have no doubt. They are seeking to change legislation - this will not be in our favour. But in the meantime they are duty bound, along with the police, to uphold the existing laws. This is not the roaring twenties with Prohibition. If and when we win this war against corruption and injustice, we should make sure those responsible for the corruption be punished, and those found incompetent be sacked. There is no reason an enquiry should fail to find these glaringly obvious answers. Over to you, Tom Watson. A Message To All Taxi Leaks Followers. As we approach the most joyous and for many of us the most sacred day of the year, our thoughts naturally turn to our loved ones, our friends and our colleagues. Christmas is a time to share the goodness of our hearts with others, a time for expressing with words and gifts, what others mean to us. It's also a time for remembering those no longer here. 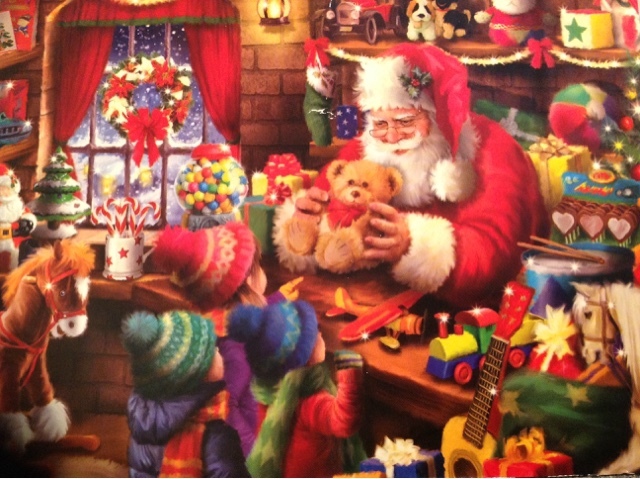 It's a chance to make someone's wishes come true and to truly give something from your heart. A chance to give a message that will express love and caring to the ones we care about the most. Taxi Leaks would like to wish all our followers a very Merry Christmas or a Happy Holiday, according to your faith or your custom. it's very unlikely TfL will introduce the new PH regulations proposed for next year. Perhaps TfL would like to take notice of the recent poll carried out by the Daily Mirror which asked the question "Should Uber be banned in London ?" 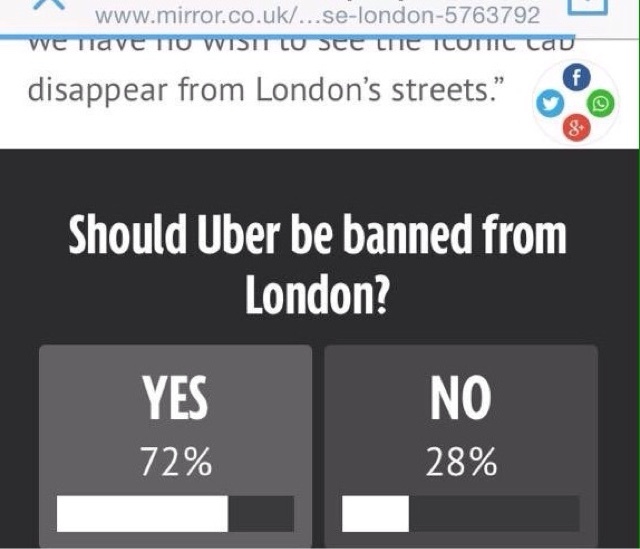 72% of Daily Mirror readers say Uber should be banned! We have also been informed that Uber told their drivers not to bother completing the consultation in the traditional way, but instead to forward on an email prepared for them, taking the drivers personal opinions -which Uber obviously doesn't trust- out of the issue. Last night Uber sent a text telling me there were only 2 days left to respond to the TfL consultation. When I clicked the link – hey presto – it opened my email and generated text to send directly to TfL with Uber’s preferred reply. All I had to do was hit enter – no thinking required, just the way Uber likes it. It even autogenerated a bcc to Uber itself so that big brother at Aldgate Tower can monitor which drivers are the true believers and who are just not to be trusted. SHOULD THIS UNETHICAL PRACTISE RENDER ALL UBER DRIVER EMAILS INVALID? Why would Uber not want their drivers to complete the consultation in the traditional manner? Could the reason be that with this consultation, security measures are in place, whereby the replier has to give a valid email address which triggers an automated reply. Plus only one reply allowed on each valid address, invalidating fraudulent replies. Did uber send TfL emails on behalf of the drivers who didn't click on the send option? Perhaps this is something we can do in future. 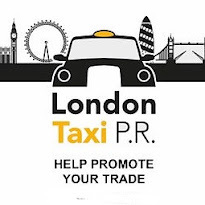 A trade org could collect all the email addresses of Taxi drivers and next time there is a consultation, send off emails as a block reply on behalf of all the trade! Do you honestly think TfL would have stood for this had we adopted this method ? Remember the scandal when it was alleged Uber used its custermer data base of names and email addresses, to reply to an online poll without first acquiring permission from the account holder. Many account holders complained when they received the confirmation email! In addition, Uber have carried out their own petition, one in which they make the rules....hence 205,000 completed by account holders and drivers who allegedly have no knowledge they have signed a petition. Before any decision is made appertaining to the implementation of the new regulations, it's imperative that our trade orgs ask for an independent adjudicator, to examine a cross-section of the submissions, to verify that the signatures are authentic. On BBC London News, we wet told that most minicab operators say the current system would work "IF" properly enforced by TfL. Addison Lee's Dominick Moxon-Tritsch added TfL should have insured all PH operators have Fleet Insurance. Speaking for the licensed Taxi trade, Steve McNamara said the change seen in the minicab industry is progress, but progress needs to be regulated. Lots of people in london like to use controlled substances, but they're banned ! You have to have regulations it's all about safety. A MUM has warned young girls of the dangers of getting into a mini cab on their own after her daughter was sexually assaulted on Saturday morning. The anonymous post on social media pleads with other Mums to warn their daughters of the dangers of some mini cab drivers. 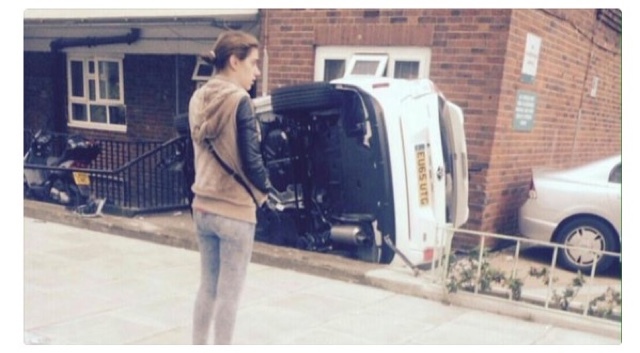 After leaving a bar in Wokingham on Saturday morning, her daughter had to fight her way out of the mini cab to escape. 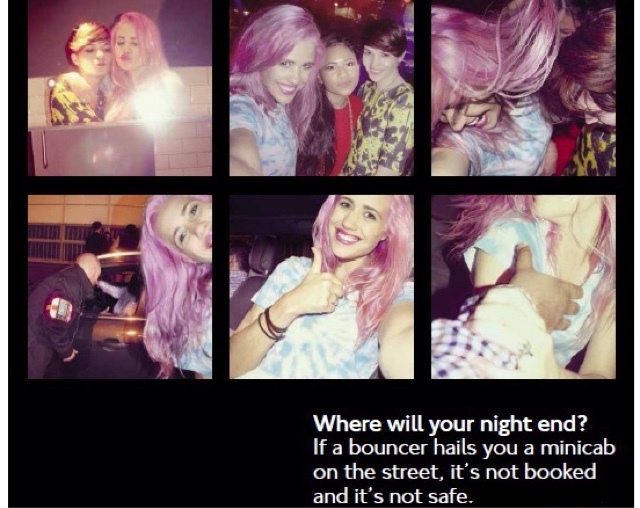 She left the bar at around 2am and went to get a mini cab from Elms Road and inside the silver BMW were three Asian men. The post read: "Scared, she said where she wanted to go and they proceeded to go in the wrong direction. She asked them to stop 5 times....They carried on driving. During this time the passenger in the back started touching my daughter and made sexual requests." The driver of the mini cab stopped down Finch Road and the daughter punched the passenger and kicked her way out of the car before running to a nearby house for help. The post read: "This is a serious crime and I would ask you to tell your young ladies to please be careful and vigilant when getting into a mini cab. "Ask to see their badge and to call the fare into their base. Please do not let this happen again!" James Williams, a spokesman for Thames Valley Police, said: "I can confirm the incident was reported to us. "The allegation is that the victim was sexually assaulted over her clothing at about 2am on Saturday. The victim left the vehicle and sought help from a member of the public. The matter was then reported to Thames Valley Police. "If anyone has any information please contact the Thames Valley Police Enquiry Centre on 101. "If you don't want to speak directly to the police you can contact the independent charity Crimestoppers anonymously on 0800 555 111 or online at www.crimestoppers-uk.org. No personal details are taken, information is not traced or recorded and you will not go to court." The consultation that never was.... By I'm Spartacus. 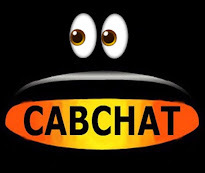 We hope that no cab driver missed the opportunity to have their say on the PH consultation. It's still open, but you only have a few hours left! 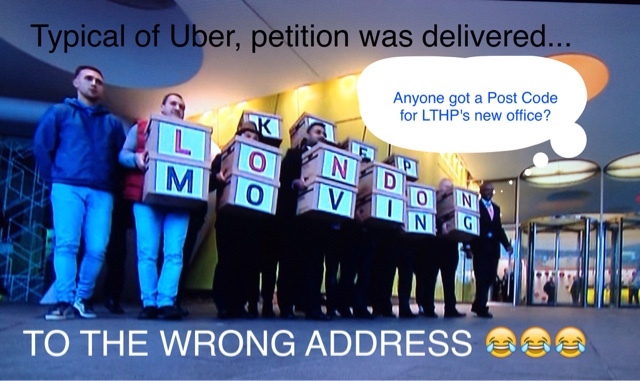 Can't help but laugh at the non eco friendly boxes of nonsense delivered by Poober to Palestra - A nice PR stunt, but as if to prove they don't know their a**e from their elbow, they went to the wrong building. LTPH have moved weeks ago. Anyhow, here are some questions that should have been included- but never were. 1. Would you like to pay an effective tax rate of 8%? 2. Would you like to enjoy Dutch zero rating on VAT? 3. Would you like a complaints procedure that's meaningless? 4. Would you like to be able to increase prices at a whim? 5. Would you like your mate to drive your vehicle and pretend to be you to earn both some money? 6. If the answer to all the above is yes, please explain how the NHS can be funded, the public protected and your children educated? All answers will be entered in a prize draw to win an all expenses paid trip to the Opera with the Lord Speaker of the House of Lords. It is vital that we win over politicians to our cause if the taxi and minicab trade in London is to be properly regulated. 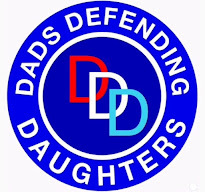 Yet whenever the LTDA does something with politicians to gain their support and raise the trades profile politically, many of those we are trying to win over suffer abuse from cabbies via twitter or other social media. It should not come as a surprise that this behaviour is not helping and that our enemies are using many of these tweets and comments to portray us as racist, xenophobes fighting competition. Nothing is further from the truth; we are a forward thinking dynamic industry that is keen to embrace change and technology but one that is restrained within the confines of an archaic licensing infrastructure whilst our competitors are allowed to operate virtually unregulated. Social media can be a powerful tool and I would encourage as many members as possible to use it, but to bear in mind that our competitor's powerful PR and lobbying machine will be looking at ways to exploit everything you post. This message was sent to us by a member of the LTDA, wise words indeed. Steve McNamara asks to trade to stick together! But the LTDA has a lot to answer for, with the exclusion of minor trade orgs such as the RMT and the UCG from meaningful negotiations for over 5 years, efectivly dividing the trade. It hasn't gone unnoticed that since Bob's taken a more back seat role, Steve has moved the LTDA forward and championed a more open relationship with smaller groups. His personal help with the Mayfair Mob is to be applauded and should be seen as a new hope for a way forward, encouraging drivers from every org to work together. As 2016 approaches, we must not make the same mistake we make every year, and that's dwelling on the past. Everyone's made mistakes, but we must learn from these mistakes and move on. We have to use ALL the weapons in our arsenal. We need a counsel of war, with every org no matter how small involved, working together. Yes it will be hard, yes we've never managed it before, but this is our only hope. We are not going to win anything as a divided trade. Trade leaders should be locked in a room and only let out when they are in agreement. No more hissy fits and storming out. No one org or union on its own, can win us through. Cometh the hour, cometh the man. Steve may not be everyone's idea of the trades saviour, but to be honest, I see no one else coming through the ranks, eligible to lead us from the front in this, our hour of need. Strange words from me, I know! I've been one of the LTDA's harshest critics, probably responsible for the loss of many of their subscribers. But the only way we can reach the light at the end of the tunnel is together as one....there is no plan B.
UNITE OR DIE...it's that simple. 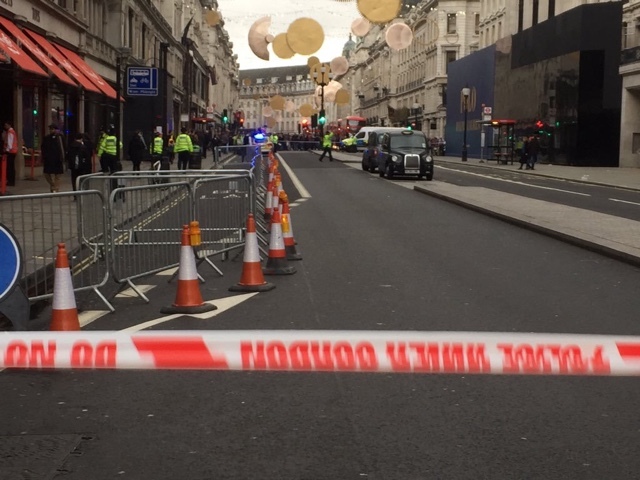 Regent Street was evacuated earlier today and a suspicious Taxi left unattended and parked on a Taxi rank outside Hamleys became the second Taxi this year to be damaged by security officers in controlled action. 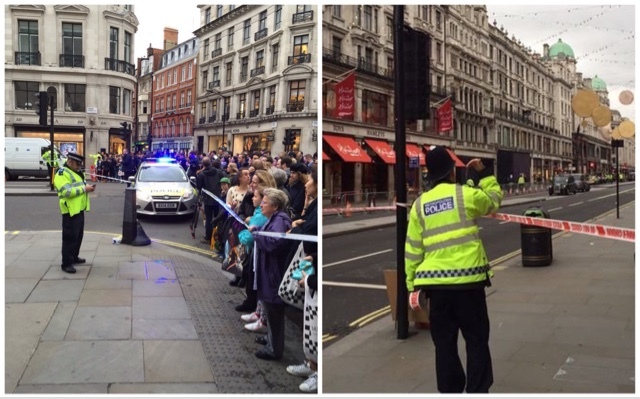 Police show just how vigilant they are regarding the current security status. For years, we have been warning about the way the Met police turn a blind eye to minicabs parked all over the WestEnd and City. Even in the wake of the minicab car bomb left outside Tiger Tiger in 2007. Although extremely serious, this incident had little to no affect on police and within hours the minicabs were back parked all over the Haymarket, left unabated by security services. The Taxi trade has been warning of possible car bombs attacks as Wardens, Police and TfL constantly take no notice of cars parked on our Taxi ranks. Now a Taxi, left unattended on a rank, had fallen victim to a security incident. 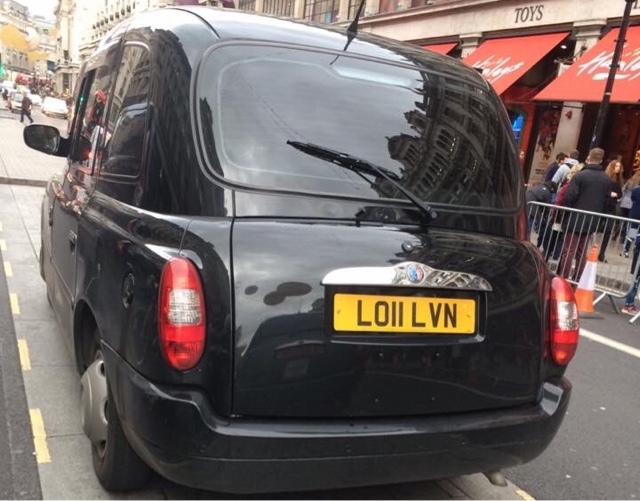 It's been reported that the Taxi affected had no TfL plates, no identifiers and had tinted windows. 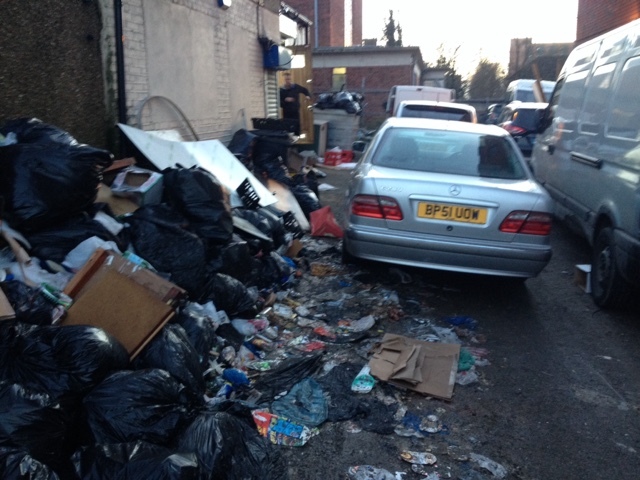 The vehicle was left abandoned on the Taxi rank and was reported to police. The police deemed the vehicle suspicious and called in security services, who took out the windows with a burst from an automatic weapon. Window blown out in a controlled burst from an automatic firearm. While London is in danger of an imminent attack from terrorists, it's imperative that Taxis are not left unattended other than on rest ranks. 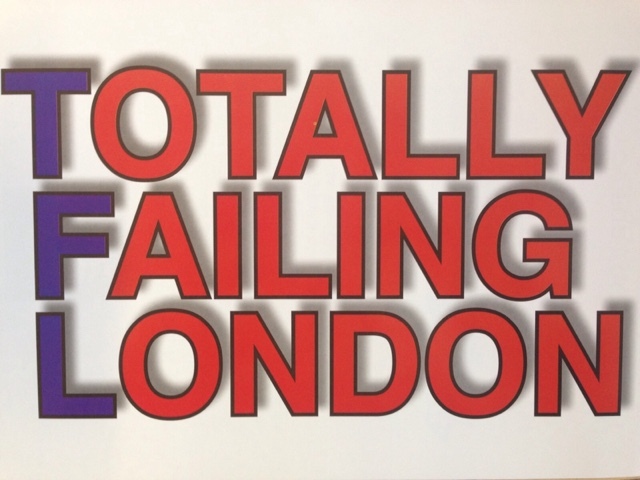 Totally Failing London's Christmas Cracker....by Glen Alutto. 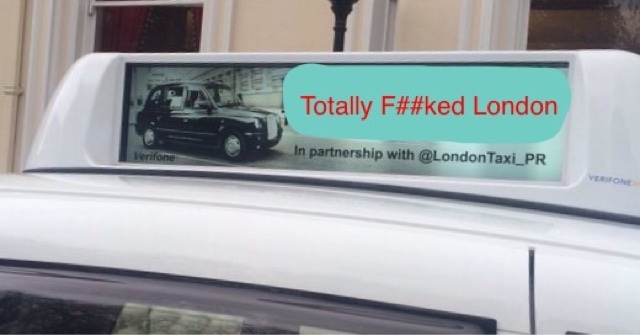 TfL announce their latest weapon in the fight against their own carefully engineered congestion, digital advertising Taxi top boards! Yep, you read that right a barely legible illuminated sign that nobody reads is going to help you avoid getting stuck in one of the capial's numerous bottlenecks. 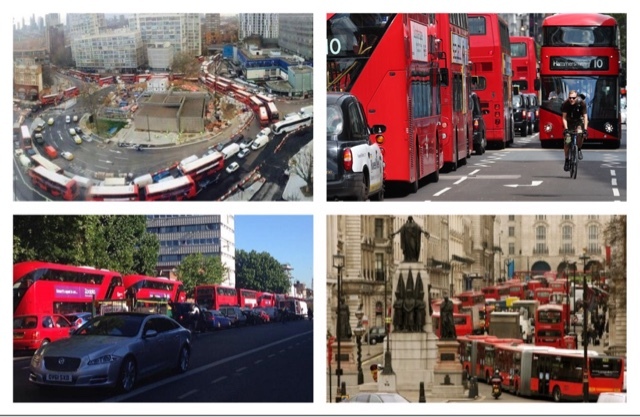 TfL's Spin doctors, will be telling you all about the multi million pound road modernisation scheme they don't recognise as the main cause of the current daily gridlock. Well it will give them something to read while stuck for hour on end behind lines of empty buses! You really couldn't make it up, could you? But it seems TfL have done just that! 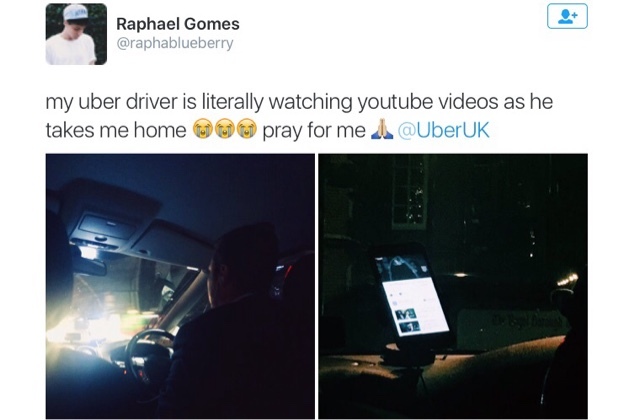 Passenger In Danger As Uber Driver Watches Video During Ten Minute Journey. A YouTube minor celebrity has told how he was left in fear for his safety as his Uber driver watched videos during a journey through west London. Raphael Gomes, 23, snapped the driver watching his phone as he took a minicab home after having a haircut on Friday evening. The Portuguese-English author - whose videos have attracted many views on YouTube - claimed the driver was watching footage from a YouTube video on his phone for the whole of the 10 minute journey. Revealing details of the alleged ordeal on Twitter, he wrote: "My uber driver is literally watching youtube videos as he takes me home #pray for me". Mr Gomes, who has his own YouTube channel and is a published author, told how he noticed the driver's screen as soon as he got into the car and could see it was not showing the Uber app or mapping technology. He said: “I was definitely surprised and a little scared at first. It made me nervous and I know how dangerous this was, so I took the pictures. “I think it was a web series on YouTube in a different language. It was definitely action-themed but I'm not sure what programme it was exactly. After Mr Gome started tweeting about fears for his safety, it didn't take long for the Uber PR clean up team to take action. Mr Gome is now saying that he "isn't" going to make an official complaint as nothing happened (this time) and he is safe. He says he can see the humour in the situation. Perhaps Mr Gomes experience wouldn't have seemed so hilarious, had the driver knocked down and killed or seriously injured, a pedestrian or cyclist. Or perhaps Mr Gome would not have seen the funny side being cut out of a tangled mess and being rushed to hospital. As Fines Are Increased, We Ask How Safe Are Uber Journeys With Driver Constantly Using iPhones ? Just how safe are Uber journeys with drivers constant use of a mobile phone ? But now, drivers who use a mobile phone while driving could face tougher penalties if government plans are approved. 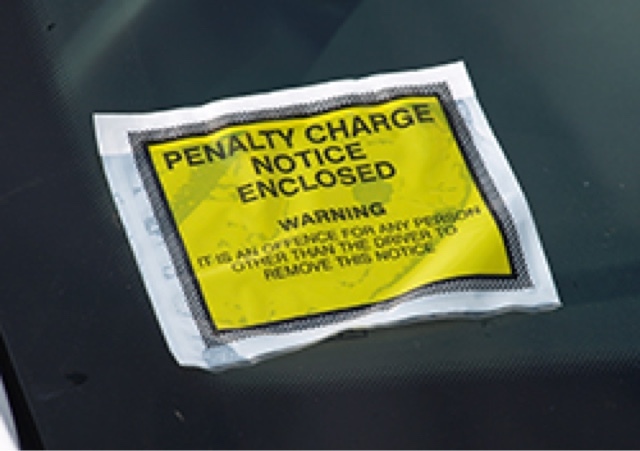 The government is planning to increase fixed penalty fines from £100 to £150, as well as increasing the number of penalty points drivers receive. Penalty points would rise from three to four and from three to six for drivers of large vehicles such as HGVs. Motoring groups broadly welcomed the news, but some questioned whether the plans would be an effective deterrent. Obviously Uber will be running a massive campaign supported by slick videos, with polls showing that they should be allowed to circumnavigate any restriction on using a phone while driving, simply because....it's what the public want! The proposals, which are part of the government's Road Safety Plan, are aimed at targeting those who repeatedly offend. A consultation will be held on the plans in 2016. The proposals follows a previous increase in the fixed penalty for using a hand-held mobile phone while driving, from £60 in 2013 to £100. Transport Secretary Patrick McLoughlin said: "Using a mobile phone at the wheel is reckless and costs lives - I want to see it become a social taboo like not wearing a seatbelt. 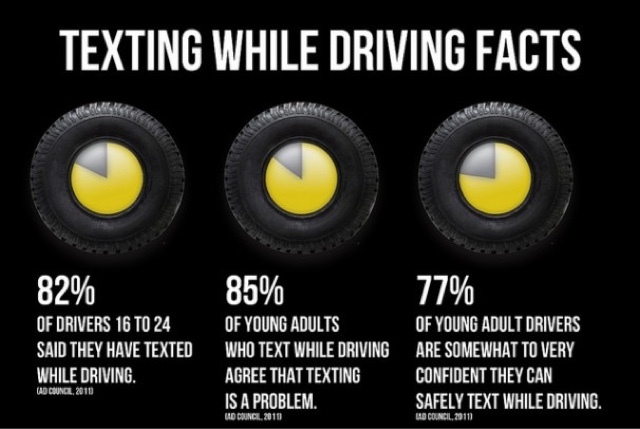 "The message is clear: keep your hands on the wheel, not your phone. 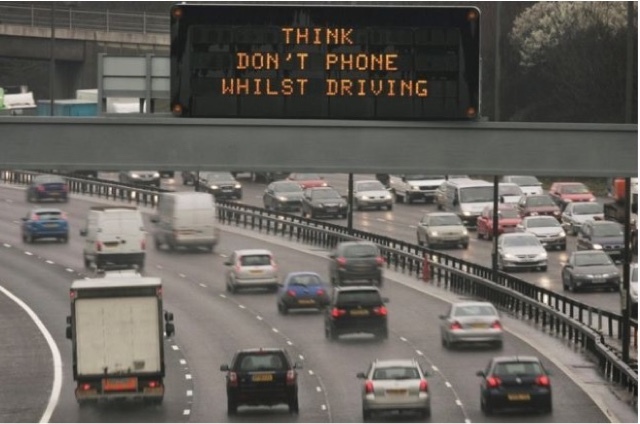 If you keep taking calls while at the wheel, you could end up being banned from the road." The use of a mobile phone was a contributing factor in 21 fatal accidents and 84 serious accidents in 2014, the government said. A total of 1,775 people were killed and 22,807 people were seriously injured in reported road accidents in 2014, government figures showed. Suzette Davenport from the National Police Chiefs Council said the organisation fully supported the crackdown and was determined to keep all road users safe. "Drivers must continue to be aware not only of the risks posed by being distracted by mobile phones while in control of a car but the serious penalties which they will face if they are caught," she said. But Tim Shallcross from the Institute of Advanced Motorists said evidence shows previous increases in fines did not change driving behaviour. "The Department for Transport's own research this year showed that when they doubled the penalty from £50 to £100 in 2013 it made no discernible difference whatsoever," he said. "What deters people from using mobile phones is the fear of being caught and, frankly, with fewer police on the roads that possibility is becoming less and less." 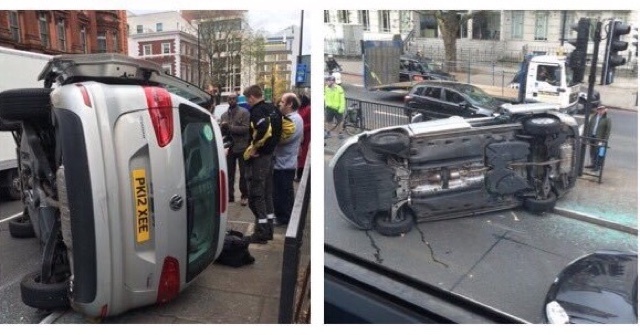 With new PHVs increasing at a rate of 600 a week, and with most using smartphones as part of their modus operandi the dangers on Londons roads are of epic proportion. Other motoring organisations broadly approved of the measures. David Bizley, the RAC's chief engineer, said: "There is still a surprising number of motorists who think it is acceptable to take a short call with a hand-held mobile whilst driving - it isn't, and is a real danger. "Our report on motoring this year showed motorists are increasingly worried about other drivers being distracted by mobile phones whilst at the wheel." Edmund King, president of the AA, said the majority of drivers "will welcome" the proposals. "Three quarters of drivers see others using mobile phones on some or most journeys, with one quarter seeing it on every journey, according to our polls," he added." 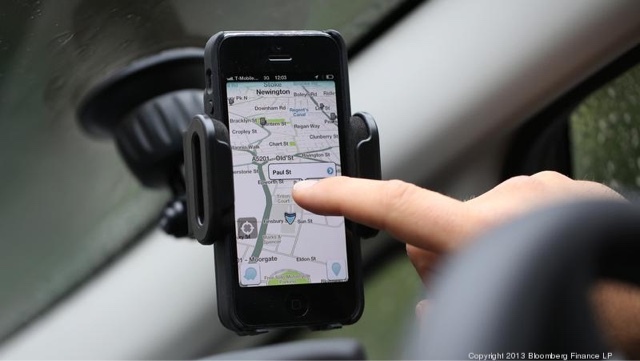 The epidemic of hand-held mobile phone use while driving especially by minicab drivers using phone for rider dispatch and SatNav has already cost lives, as they constantly break their concentration, taking their eyes and their mind off the road in front.